The shooting late Tuesday at YouTube’s San Bruno, Calif., headquarters takes the cake for skulduggery and fakery. The storytellers claim that an “Iranian” woman by the name Nasim Aghdam, walked into the company’s HQ and shot and wounded three before “shooting herself.” So far, the only images of the event show employees filing onto the streets. An Iranian Muslim woman — several demonization birds with one stone. Boasts of serving in Iranian army. A vegan. Yes, a vegan, and an animal rights activist. For the dumb dumbs, this translates into a “fanatic.” Yes, society needs to keep an eye on “fanatics.” I can guarantee that we will hear the mentally ill pre-crime narrative soon enough. She had a “manifesto.” Yes, of course, a manifesto. 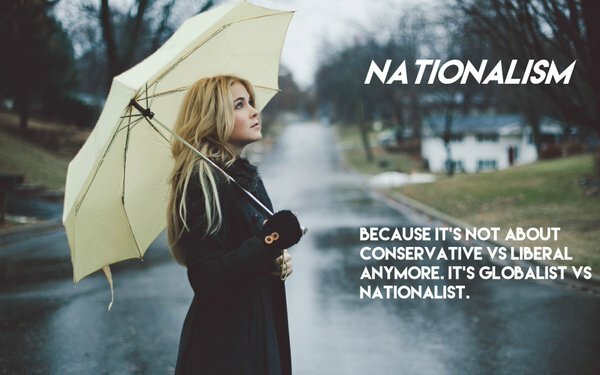 They all have that. Her many videos of late have been described as “paranoid.” Yes, of course, paranoid. In a similar manner, this brainwashing implant is designed to make the more reasonable things “Nasim” said — seem to be nuts. The now familiar narrative that police had an encounter before the shooting. This event is similar to that of the man who — out of the blue — shot up Comet Ping Pong and Pizza when the heat was coming down too heavy on Pedogate. Those who have looked at the videos describe “Nasim” as creepy and unnatural. Apparently, they don’t realize that this is coming from the CGI (computer-generated imagery), pixel world. It’s very disturbing that people can’t distinguish CGI from reality. In fact, this one is quite poorly done, perhaps as another test of public gullibility. The “Nasim Aghdma” videos are definitely worth an examination. Look at the fake-looking cutout images. The woman’s head is badly Photoshopped and then put onto the torso. You can see an elongated neck. What human being has such noticeable non-uniform and huge throat ligaments? The skin colorization is nonsensical, especially for someone living in sunny California. There is a clear line across her neck where skin tones don’t match. What’s being conveyed with the multiple Star of Davids in the background? What’s with the mechanical sounding voice? Watch the video frames skip. Enlarge to full screen view. Nasim’s hokey work out video below. If you slowed this frame by frame, you would see gaps in the film. Why? CGI? Note the double shadows. Nasim showing off her giant, surreal, giraffe neck. Update: New terminally absurd Nasim Aghdam video shows up- jumping up-and-down in a dance-like gig before the Israeli flag. Nasim advises, “Don’t trust your eyes.” – revealing the method. Notice all the frame skips- Very buggy looking CGI. I think it is the same crew that did Elliott Rodgers’ persona. “Acting crazy” Nasim Aghdam. In-your-face CGI. Enough said. Are we really being asked to believe this apparition has 11,000 YouTube subscribers? 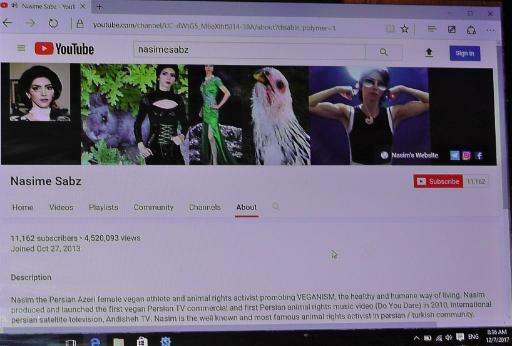 TNN Takeaway: The character of “Nasim Aghdam” would really be quite comical, if it wasn’t part of the serious demonization and psyops implant campaigns. Nazi-m Has very patriotic colors selected for her shirt, White, Red and black. More Kikery! I followed the SFGate (local low quality news/Taboola/Outbrain ad/fake news clickbait supported site) coverage. Lots of anomalies including eye witness describing a lone man in full body armor calmly walking around outside in the courtyard with a pistol, shooting. There’s also video of a babbling white haired guy who was in a fast food place across the street which is at odds to the rapidly amended and reported narrative. The definition of Orwellian — Those who question these false flags are “weirder” than the actual people involved and the events itself. The whole world believes Cruz is a maniacal murderer; but yet not one person can identify Cruz as the shooter. And I’m the nutjob. I agree, no one can identify Cruz, he is positively identified as being outside when the shooting was happening, yet his court appointed attorney has him plead guilty. That poor kid is being framed. Is he being framed or is the whole shebang contrived and disinfo? I think he is being framed, people were shot this time and given that, I think they intend to, best case, lock him up for life. I believe the teacher who said the her arm was grazed and that the teacher who has the class room across from her was killed. She is the one who described the shooter as in full SWAT gear. I also believe the girl who said the Army was throwing tarps on people “killed” and dragging their bodies out of the way, except in her case I think she was seeing dummies, it was a drill after all. I have not believed any of these false flags that came after the phony Sandy Hook. All false flags but gullible Americans believe everything they’ve been told. Not sure how anybody can consider these things legit. Correction — the poor kid is being DRUGGED and LOBOTOMITZED and framed.